Instantly downloadable sheet music by Adam Anders for orchestra (Rhythm) of MEDIUM skill level. Alle Notenausgaben von Extraordinary Merry Christmas, Drums part zum Herunterladen bei VirtualSheetMusic. Instantly downloadable sheet music by Alain Boublil for orchestra (Rhythm) of MEDIUM skill level. Alle Notenausgaben von Les Miserables (Choral Medley), Electric Guitar part zum Herunterladen bei VirtualSheetMusic. Instantly downloadable sheet music by Ari Levine for orchestra (Rhythm) of MEDIUM skill level. Instantly downloadable sheet music by Bert Kaempfert for orchestra (Rhythm) of MEDIUM skill level. Alle Notenausgaben von L-O-V-E, Guitar part zum Herunterladen bei VirtualSheetMusic. Instantly downloadable sheet music by DeWayne Blackwell for orchestra (Rhythm) of MEDIUM skill level. Alle Notenausgaben von Friends In Low Places, Drums part zum Herunterladen bei VirtualSheetMusic. Alle Noten von DeWayne Blackwell zum Herunterladen bei VirtualSheetMusic. Instantly downloadable sheet music by Edward Heyman for orchestra (Rhythm) of MEDIUM skill level. Alle Notenausgaben von Love Letters, Drums part zum Herunterladen bei VirtualSheetMusic. Instantly downloadable sheet music by Glen Moore for orchestra (Rhythm) of MEDIUM skill level. Alle Notenausgaben von You`re All I Want for Christmas, Drums part zum Herunterladen bei VirtualSheetMusic. Alle Noten von Glen Moore zum Herunterladen bei VirtualSheetMusic. Instantly downloadable sheet music by John Purifoy for orchestra (Rhythm) of MEDIUM skill level. Alle Notenausgaben von Jus` Gimme Some Joe!, Flute part zum Herunterladen bei VirtualSheetMusic. Instantly downloadable sheet music by Lorenz Hart for orchestra (Rhythm) of MEDIUM skill level. Alle Notenausgaben von Do It The Hard Way (from Pal Joey), Bass part zum Herunterladen bei VirtualSheetMusic. Instantly downloadable sheet music by Mark Brymer for orchestra (Rhythm) of MEDIUM skill level. Alle Notenausgaben von Ain`t No Sunshine, Guitar part zum Herunterladen bei VirtualSheetMusic. Instantly downloadable sheet music by Miscellaneous for orchestra (Rhythm) of MEDIUM skill level. Alle Notenausgaben von Lucky, Drums part zum Herunterladen bei VirtualSheetMusic. Instantly downloadable sheet music by Randy Newman for orchestra (Rhythm) of MEDIUM skill level. Alle Notenausgaben von Dig A Little Deeper (from The Princess And The Frog), Drums part zum Herunterladen bei VirtualSheetMusic. Instantly downloadable sheet music by William H. Cummings for orchestra (Rhythm) of MEDIUM skill level. Alle Notenausgaben von Hark! 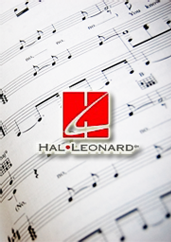 The Herald Angels Sing, Bass part zum Herunterladen bei VirtualSheetMusic. Alle Noten von William H. Cummings zum Herunterladen bei VirtualSheetMusic. Instantly downloadable sheet music by Adele Adkins for orchestra (Rhythm) of MEDIUM skill level. Alle Notenausgaben von Rolling In The Deep, Bass part zum Herunterladen bei VirtualSheetMusic. Instantly downloadable sheet music by Albert A. Beach for orchestra (Rhythm) of MEDIUM skill level. Alle Notenausgaben von I Wish You Love, Guitar part zum Herunterladen bei VirtualSheetMusic. Alle Noten von Albert A. Beach zum Herunterladen bei VirtualSheetMusic. Alle Notenausgaben von Marry You, Synthesizer part zum Herunterladen bei VirtualSheetMusic. Instantly downloadable sheet music by Bono for orchestra (Rhythm) of MEDIUM skill level. Alle Notenausgaben von Beautiful Day, Guitar part zum Herunterladen bei VirtualSheetMusic. Instantly downloadable sheet music by Don Black for orchestra (Rhythm) of MEDIUM skill level. Alle Notenausgaben von To Sir, With Love, Bass part zum Herunterladen bei VirtualSheetMusic. Instantly downloadable sheet music by Esther Dean for orchestra (Rhythm) of MEDIUM skill level. Alle Notenausgaben von Firework, Drums part zum Herunterladen bei VirtualSheetMusic. Instantly downloadable sheet music by James Horner for orchestra (Rhythm) of MEDIUM skill level. Alle Notenausgaben von Where Are You Christmas?, Bass part zum Herunterladen bei VirtualSheetMusic. Instantly downloadable sheet music by Kirby Shaw for orchestra (Rhythm) of MEDIUM skill level. Alle Notenausgaben von Beboppin` Santa Claus, Guitar part zum Herunterladen bei VirtualSheetMusic. Instantly downloadable sheet music by Mac Huff for orchestra (Rhythm) of MEDIUM skill level. Alle Notenausgaben von I`m Yours, Bass part zum Herunterladen bei VirtualSheetMusic. Instantly downloadable sheet music by Miles Davis for orchestra (Rhythm) of MEDIUM skill level. Alle Notenausgaben von Nardis, Drums part zum Herunterladen bei VirtualSheetMusic. Instantly downloadable sheet music by Ned Washington for orchestra (Rhythm) of MEDIUM skill level. Alle Notenausgaben von Stella By Starlight, Guitar part zum Herunterladen bei VirtualSheetMusic. Instantly downloadable sheet music by Rollo Dilworth for orchestra (Rhythm) of MEDIUM skill level. Alle Notenausgaben von Wake The Jubilation!, Bass part zum Herunterladen bei VirtualSheetMusic. Alle Notenausgaben von Someone Like You, Synthesizer part zum Herunterladen bei VirtualSheetMusic. Instantly downloadable sheet music by Andy Watkins for orchestra (Rhythm) of MEDIUM skill level. Alle Notenausgaben von Do I Make You Proud, Guitar (2nd Part) part zum Herunterladen bei VirtualSheetMusic. Alle Noten von Andy Watkins zum Herunterladen bei VirtualSheetMusic. Instantly downloadable sheet music by Benjamin Gaither for orchestra (Rhythm) of MEDIUM skill level. Alle Notenausgaben von Love Like I`m Leavin`, Full Score zum Herunterladen bei VirtualSheetMusic. Alle Noten von Benjamin Gaither zum Herunterladen bei VirtualSheetMusic. Instantly downloadable sheet music by Carolyn Leigh for orchestra (Rhythm) of MEDIUM skill level. Alle Notenausgaben von The Best Is Yet To Come, Piano part zum Herunterladen bei VirtualSheetMusic. Instantly downloadable sheet music by Duncan Sheik for orchestra (Rhythm) of MEDIUM skill level. Alle Notenausgaben von I Believe, Synthesizer part zum Herunterladen bei VirtualSheetMusic.